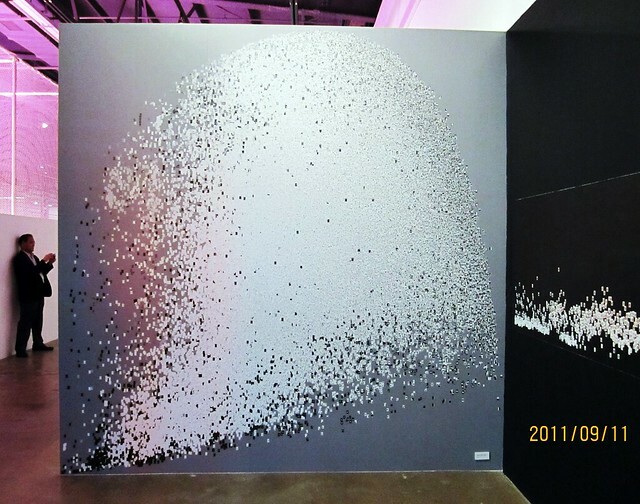 We are very honored to participate in Gwangju Design Biennale 2011 (South Korea). 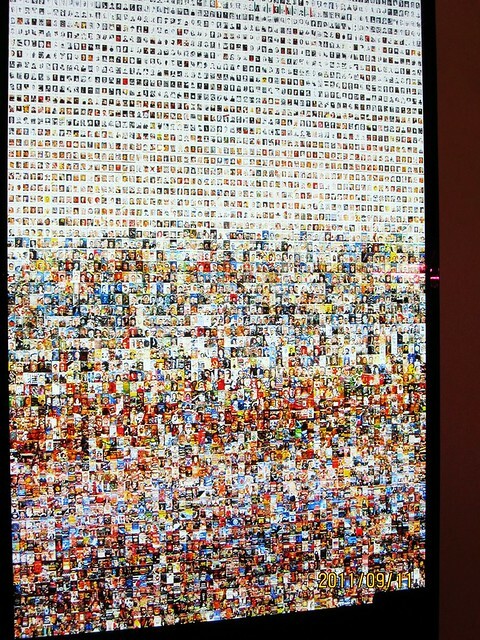 We show visualizations of 4535 Time magazine covers and 1 million manga pages. 4535 Time magazine covers, 1929-2009. Print. One million manga pages. Print. 4535 Time magazine covers, 1929-2009. Video loop. The Gwangju Biennale Foundation and Artistic Directors, Seung H-Sang and Ai Weiwei, are pleased to announce the fourth edition of Gwangju Design Biennale, opening September 1, 2011. Titled Design is Design is not Design, the Gwangju Design Biennale will present 130 designers and studios from 44 countries. Inspired by the opening line of the Tao Te Ching (Do Duk Kyeong, 道德經) by the ancient Chinese philosopher Lao Tzu (No Ja, 老子) – "The way (道) that is the way is not always the way," the Artistic Directors proposed a new variation as the title of 4th Gwangju Design Biennale - Design is Design is not Design (dogadobisangdo, 圖可圖非常圖). The Biennale seeks to challenge and reevaluate the conventional understanding of the word 'design.' Under five sub-sections of 'Named design,' 'Un-named design,' 'Communities,' 'Thematics' and 'Gwangju Follies,' the exhibition creates a platform for discourse and debate, reexamining the relationship between objects and authorship, places, environments, networks and communities, strategies, designers and design. The 'Un-Named' and 'Named' sections work in tandem to provide a rich and surprising survey of 21st century design. Un-Named focuses on those areas of creativity and invention that are usually left out of the contemporary conversation on design—including genetic modification, policing, low cost healthcare, military technology, and climate engineering. Challenging the myth of the designer, it includes works ranging from Ghanaian coffins to computer virus code among its over 70 exhibits. In contrast, the 'Named' design section provides a survey of the most imaginative work currently taking place within the recognized design fields, including fashion, graphic design, architecture, information visualization, and film. The 'Community' section seeks to unpack and play with notions of community design, creating original and provocative works such as 'WikiHouse' and an on-site 'hub' for live events and performances during the biennale. 'Thematic' and 'Biennale City' provide a curated narrative for the exhibition. UN-NAMED: Felipe Ridao, Barrak Alzaid & Fatima Al Qadiri, Unnamed Design Team, Defense Acquisitions University, Stephen Lavelle, Evert Ypma, Trevor Paglen, Eric Adjetey Anang, Theo Deutinger,Emotiv, Graffiti Research Lab, Tenga, Anders Johansson, Chris Rainier, Bhagwan Mahaveer Viklang Sahayata Samiti, Gold Rice Project, The International Barcode of Life Project, Martin Oeggerli, RNL Bio, Design That Matters, Jock Brandis, Jiang Jun, Howard Schatz & Beverly Ornstein, Shimizu Corporation, Daniele Pario Perra, Reineke Otten, Peco Inc., Thomas Geissler, Jess Bachman, L3 Communications, Preston Blair, ISTEC, Berry Plastics, Yerkes National Primate Research Center, Annie Ling. COMMUNITITES: nOffice , Design Allook, randomwalks & Kyong Su Kim, Seems Like Community, Kwangho Lee, Sung-Kwon Choi, Eunju Han, 1990uao, Sungbo Shim & Sungjun You,Jaebeom Jeong, Arabeschi di Latte, Azusa Murakami & Alexander Groves, Caroline Hobkinson, David Clarke, Diane Leclair Bisson & Vito Gionatan Lassandro , honey & bunny, Kieren Jones, Labo85, Jung-min Kim, Neil Donnelly & José Esparza, aberrant architecture, Architecture 00, Espians, Momentum Engineering, Andy Merriitt, Paul Smyth, Sam Henderson, Allard Van Hoorn. Gwangju is a 40-minute flight from Seoul's Gimpo airport. Regular train service is available to Gwangju from Yongsan Station in Seoul via the Korail and KTX train lines. The Biennale is open to the public daily, 10:00 am–7:00 pm, from September 2–October 23, 2011.